A healthy diet and regular exercise program can go a long way towards maintaining a fit body. That being so, specific life events, such as pregnancy and childbirth, can throw off the body’s contours. Even for those of you who have lost a considerable amount of weight already, your skin may not have snapped back into shape you’d expected. A tummy tuck procedure, also known as abdominoplasty, can help to eliminate excess skin, fat deposits and even stretch marks around the belly all in one surgery, as well as repair the abdominal muscles. The specialist plastic surgeons at Niche Plastic Surgery are all committed to providing the quality care and delivering the type of natural results that you expect. With several tummy tuck options to choose from, treatment plans will be tailored to your exact goals and desired outcomes. If you’re unhappy with the appearance of your midsection and have seen little to no improvement from diet and exercise, call our office at 9853 9705 to set up a one-on-one consultation appointment. Perhaps the most obvious benefit of a tummy tuck is the ability to restore your figure to a sleeker, firmer proportion. Excess skin along the midsection can impact the appearance of your midsection and put a damper on an otherwise attractive figure. However, as much as the coveted flat stomach may be a goal for patients seeking this procedure, there are other benefits to be had from tummy tucks. More often than not the abdominal muscles may have become weak or have separated which can cause one or more of the above conditions to develop. In effect, a tummy tuck procedure not only makes you look good but also makes your core muscles feel fitter and stronger. For women who’ve gone through pregnancy and childbirth, repairing the abdominal muscles can help when it comes to dealing with the two most common negative physical side effects from pregnancy: urinary incontinence, and back pain. Cosmetically, the benefits of a tummy tuck go even farther. Stretch marks and loose skin are common after pregnancy. While creams and lotions may help to lighten stretch marks, greater intervention is needed to eliminate them entirely. A tummy tuck can remove any excess skin from the area along with the visible stretch marks. In total, there are three tummy tuck options available: mini-tummy tuck, full tummy tuck and extended tummy tuck. Each option produces a different result. Your overall goals as far as the desired outcome you’re looking for will help guide the doctor in choosing which option will produce the desired results. A mini-tummy tuck targets the lower belly region and requires the least amount of surgery. If you have a pooch or stretch marks in the belly button region, this option may be all you need. Mini-tummy tucks only require a single incision that’s made just above the pubic area. Once it’s healed up, all that’s left is a thin, horizontal line that’s just a few inches long. By tightening loose or separated abdominal muscles and removing excess skin, the result produces a smooth, flat stomach. A full tummy tuck targets the entire wall of muscles that make up the abdomen. If you have a protruding stomach or unwanted skin folds above or below your belly button, a full tummy tuck may be the way to go. It requires making a straight incision just above the pubic mound that runs from hip bone to hip bone. This option leaves you with a flat, smooth stomach and will also eliminate stretch marks. While the incision will result in a longer scar, the location of the scar makes it easy to hide beneath a swimsuit bottom. An extended tummy tuck targets the upper and lower abdomen as well as the flanks or sides of the torso. This option works well for people who’ve lost a lot of weight but have sagging skin around the front and sides of the torso. An extended tummy tuck will also tighten up weak abdominal muscles that result from pregnancy and childbirth. This option requires a longer incision and additional recovery time, but the resulting flat tummy and tight flanks make it worthwhile. Most tummy tuck procedures are done under general anaesthesia in an accredited hospital and the patient remains in the hospital for a day or two after the procedure. The incisions may require bandages and you may need to wear an elastic compression garment to support your abdominal muscles and minimise swelling. You’ll also likely be sore for a few days afterward and a day or two of bed rest with will be necessary. Post-op visits to your doctor will be scheduled to ensure your recovery period is going well. By the second week, most patients can stand upright comfortably, and by week three you may be ready to return to work and other light activities. In all of the above types of tummy tuck your surgeon may recommend liposuction to assist in optimising your ultimate outcome. The results of a tummy tuck are long-lasting as long as you maintain your current weight. 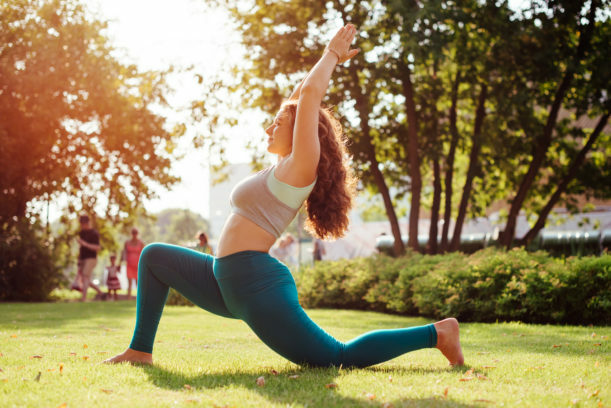 While a tummy tuck can’t prevent you from gaining weight, with an ongoing regimen of healthy eating and regular exercise you won’t have to worry about that bulge around the midsection making a return. For these reasons it’s important to consider your current circumstances before scheduling a tummy tuck. If you’re planning to lose a substantial amount of weight, it may be best to wait until you achieve a stable weight before scheduling a procedure, as future weight gain will affect the results of your tummy tuck. Likewise, if you foresee a pregnancy in your future, it’s best to postpone getting a tummy tuck until after you have had your youngest child. To determine whether a tummy tuck is the best choice for you, schedule a consultation with one of our specialist plastic surgeons at Niche Plastic Surgery to discuss your concerns and cosmetic goals. Our team of experts offers a range of cosmetic treatments, so we can help you find a treatment plan that meets your current needs and goals. If you have additional enquiries about tummy tucks or want to know more about other treatments we offer, contact Niche Plastic Surgery on 9853 9705 to set up a consult with one of our doctors.